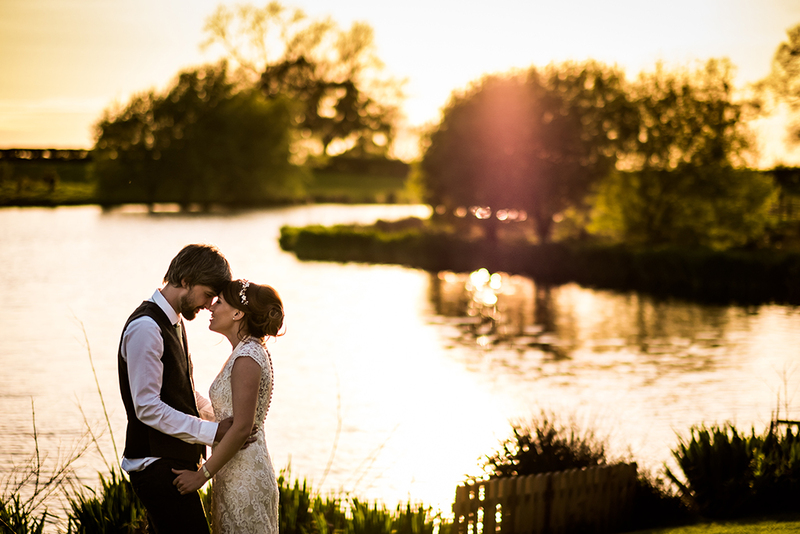 There’s something wonderfully romantic about marrying at a waterside venue, whether you choose a coastal location or a beautiful barn beside a lake. 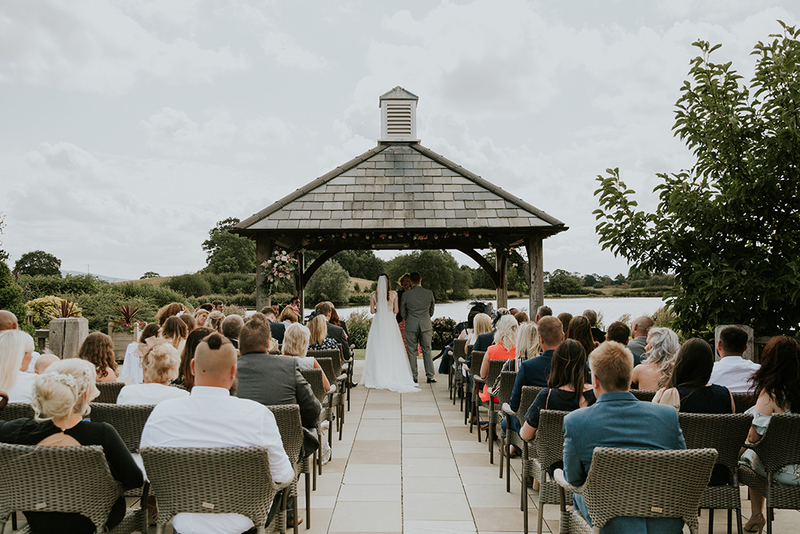 Let’s take a look at all the elements we love about being beside the water at Sandhole Oak Barn. 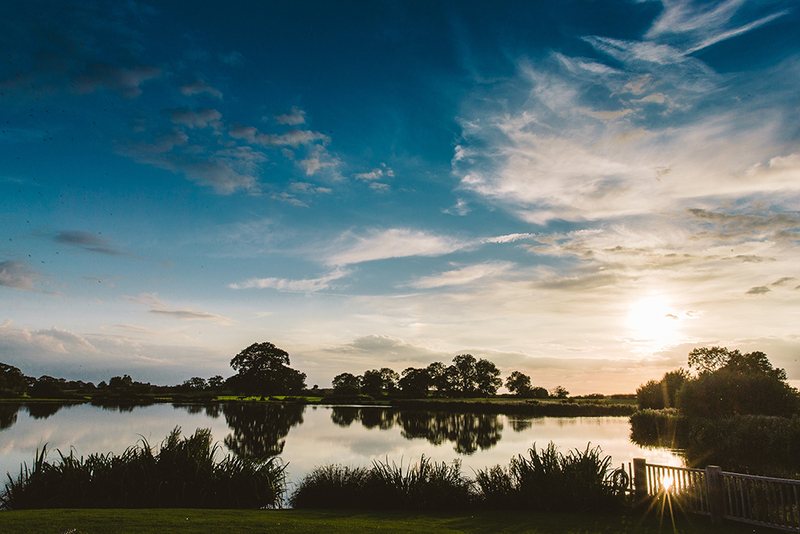 Wherever you are at Sandhole Oak Barn, you will enjoy beautiful views across the lake. 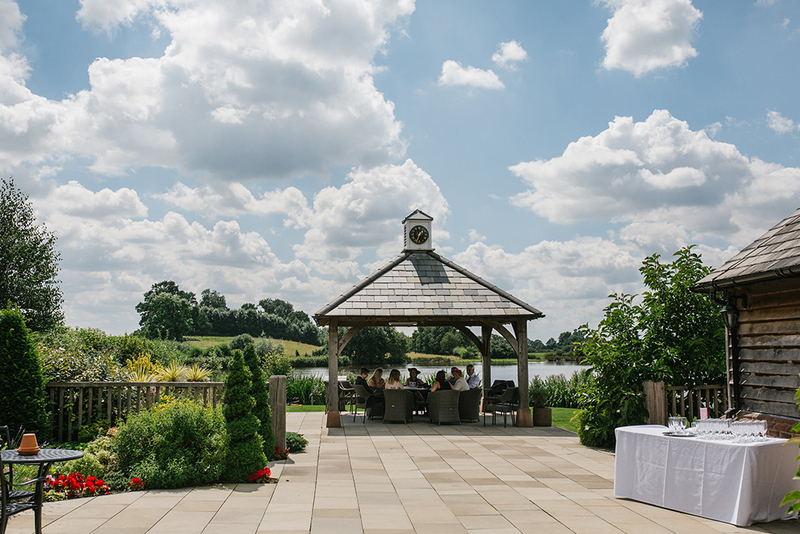 During warmer months, we hope you’ll celebrate with your drinks reception on the lawn and make the most of the verandah, looking out over the lake. 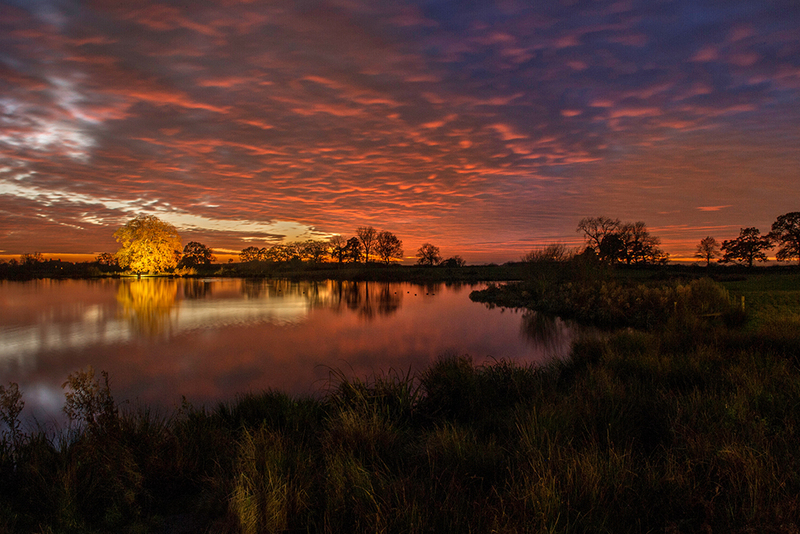 In the autumn and winter, the views are spectacular from the warmth of the barn, surrounded by the ever-changing beauty of the landscape. 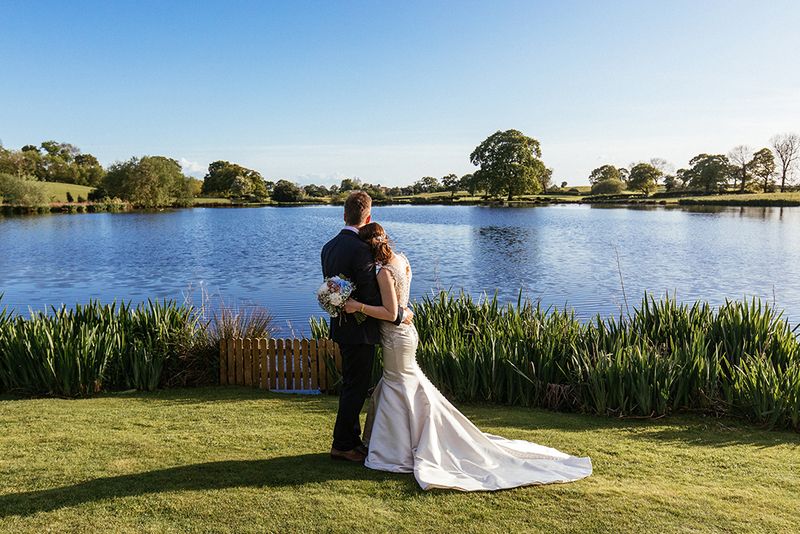 Waterside photographs are always stunning, with the water providing such a romantic, peaceful background that changes in colour throughout the day and the seasons. 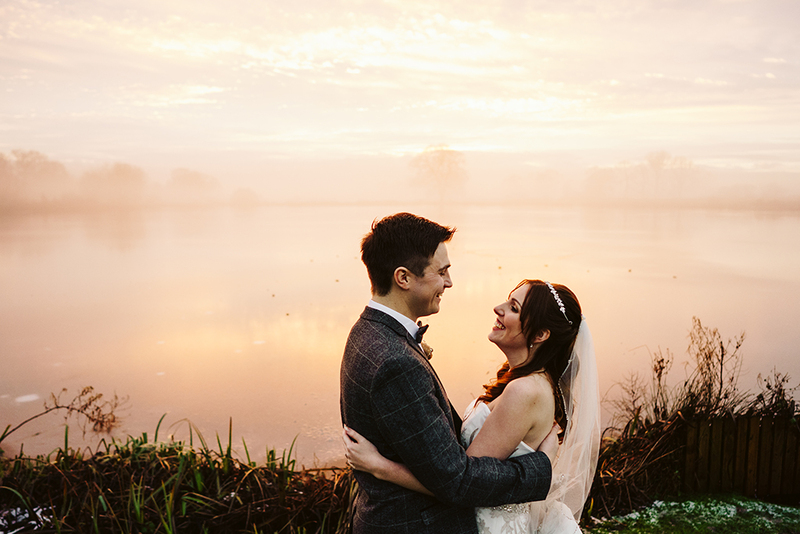 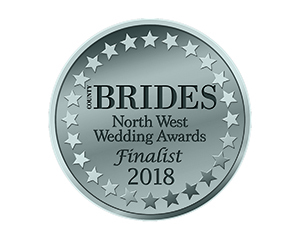 Spring mornings with the mist hanging over the water, hazy summer days with the sun shimmering on the lake, Autumn arrives with the irises providing a bronze halo around the lake, and Winter bringing dramatic sunsets reflected on the lake, the perfect backdrop for your wedding awaits at Sandhole Oak Barn. 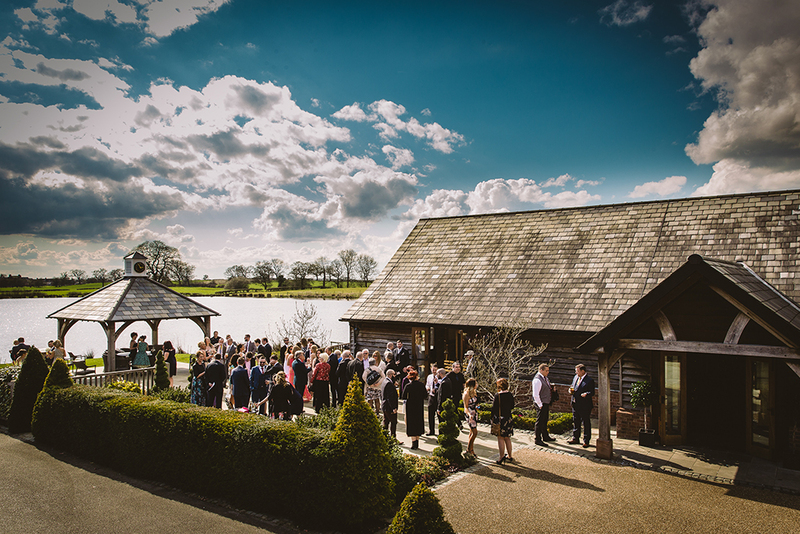 Whether you choose to marry in the Oak Barn or Under the clock tower here at Sandhole Oak Barn, you will be beside the beautiful lake. 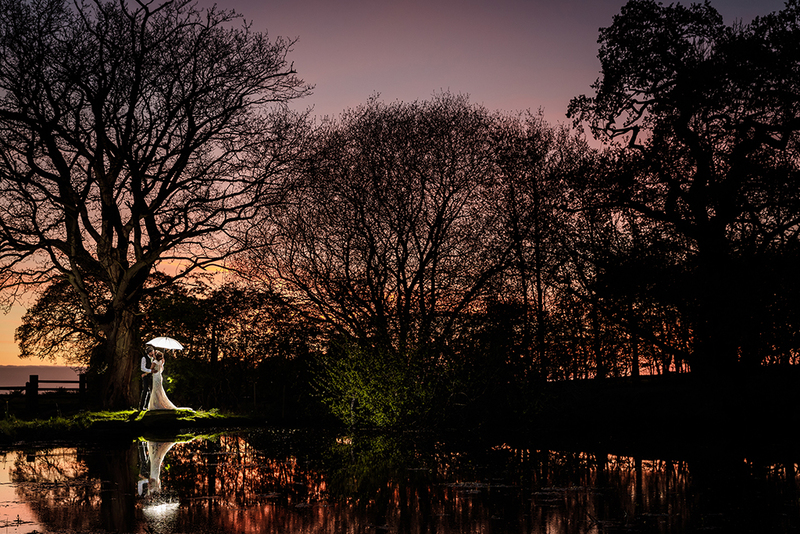 Our Clock Tower is licensed for ceremonies between April and October and offers an idyllic setting on the shores of the lake. 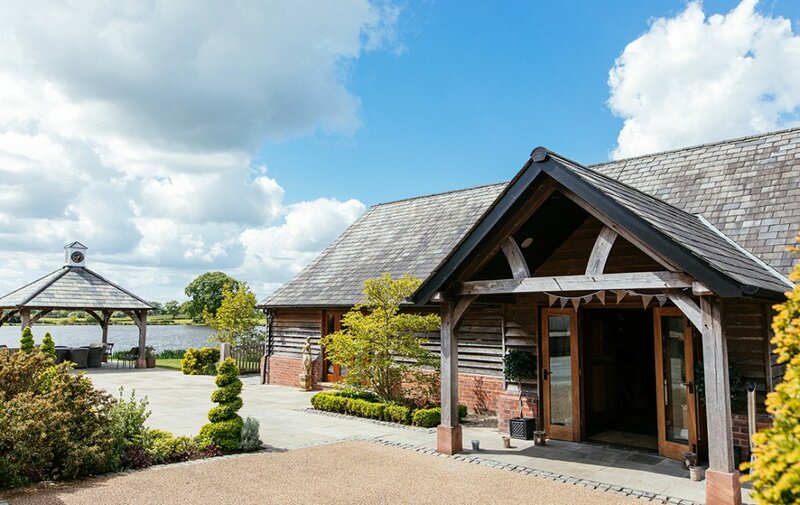 The Oak Barn looks over the lake with doors leading on to the lakeside verandah. 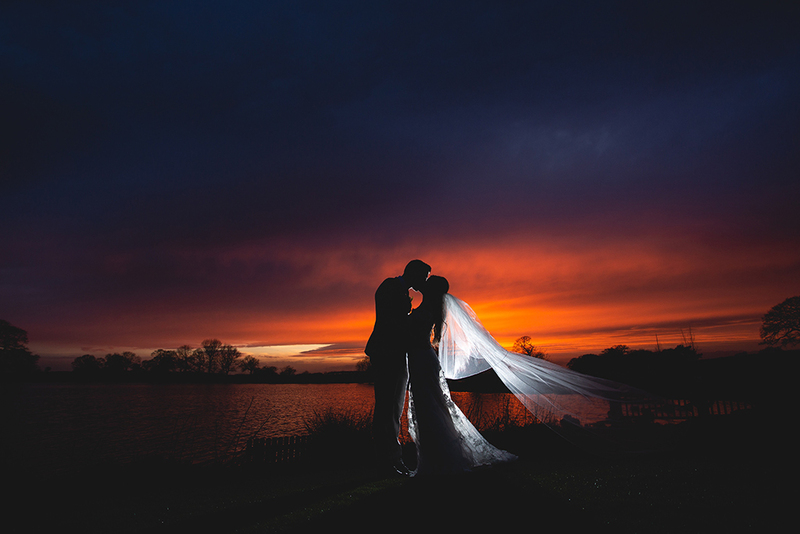 Exclusively yours, you really will feel like a princess for the day. 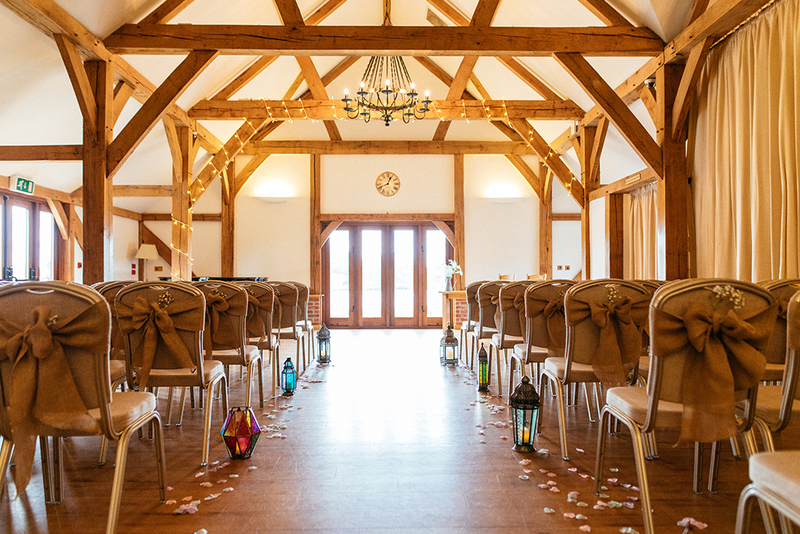 If you have yet to see Sandhole Oak Barn for yourself, we would love to show you all we have to offer. 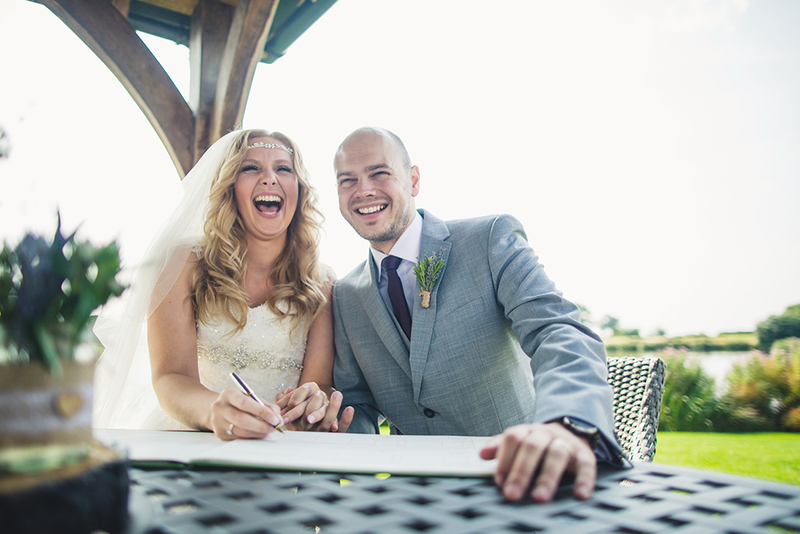 Simply call our friendly team on 01260 224215, or contact us online.